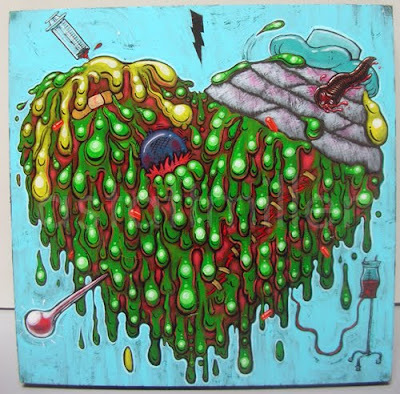 I did this painting for Love Sick 3, a fashion show/party every valentines day at Mighty SF. The painting is 24"x24" Acrylic on panel. Thanks Alex for having me part of the show!